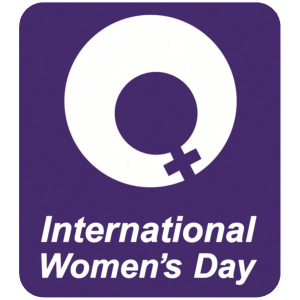 Add an International Womens Day stampette logo to your Twitter and Facebook profile image and show your support. International Women's Day is celebrated yearly on March 8th. The day focuses on a general celebration of respect, appreciation and love towards women as well as a celebration of women's economic, political and social achievements. Above all International Women's Day highlights women's human rights worldwide.